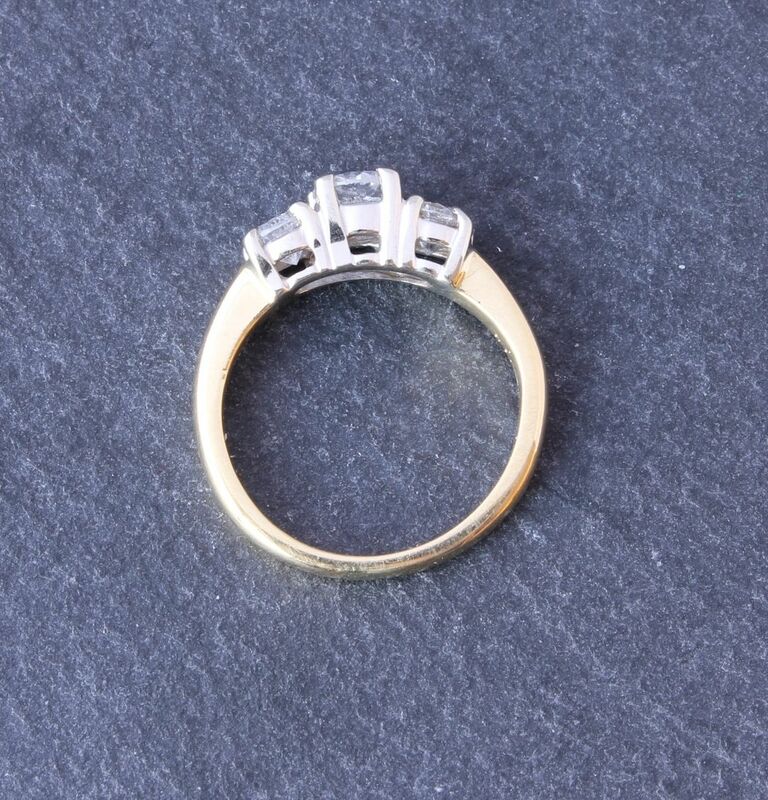 18ct Yellow Gold and Diamond Three 3 Stone Engagement Band Ring. 1.08 ct. Size J. 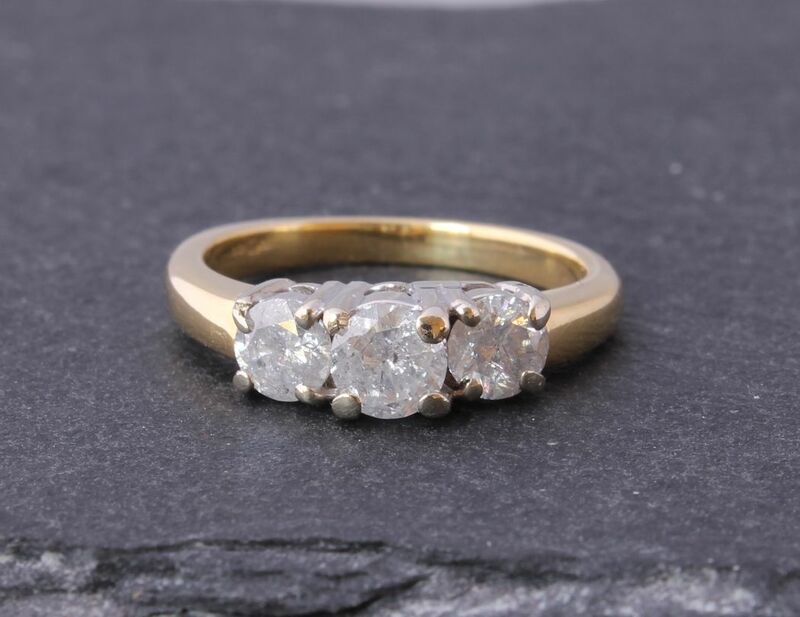 This beautiful 18ct yellow gold three stone ring has 3 graduated brilliant-cut natural diamonds that total est 1.08 carats and are set into a white gold mount. 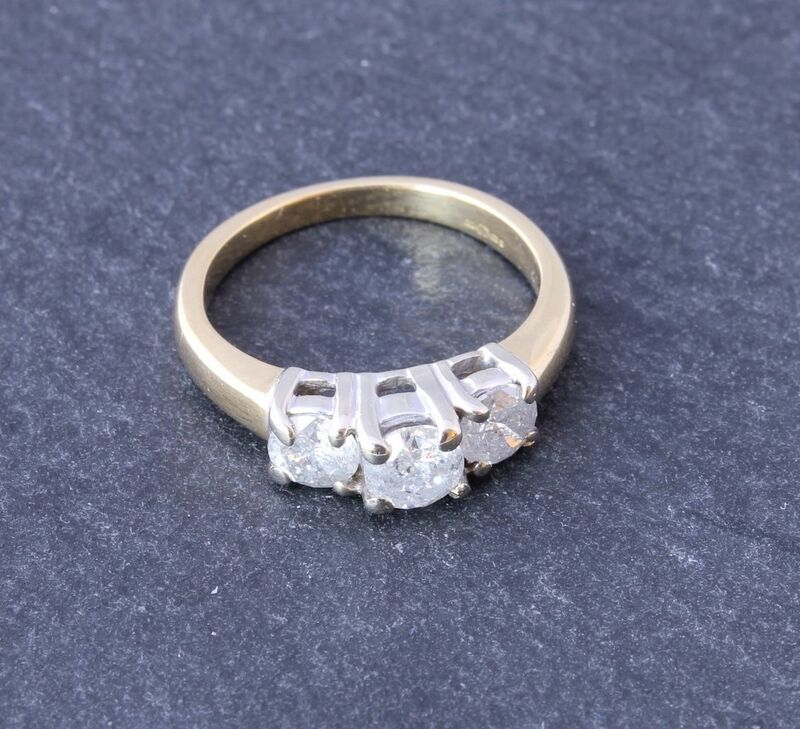 The central stone being an est 0.42ct with a diamond on each side of this being est 0.33 ct each. 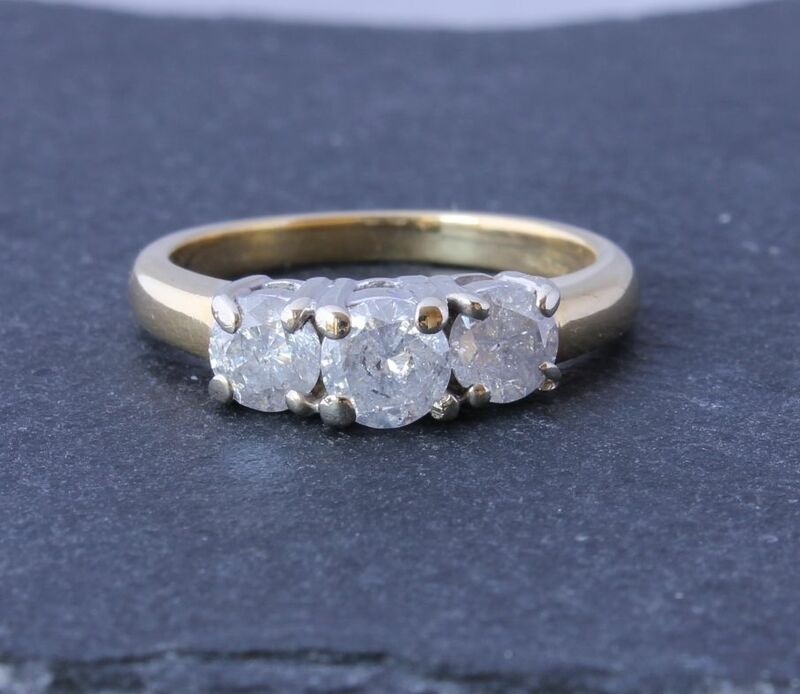 So totalling over 1 ct of natural diamonds. 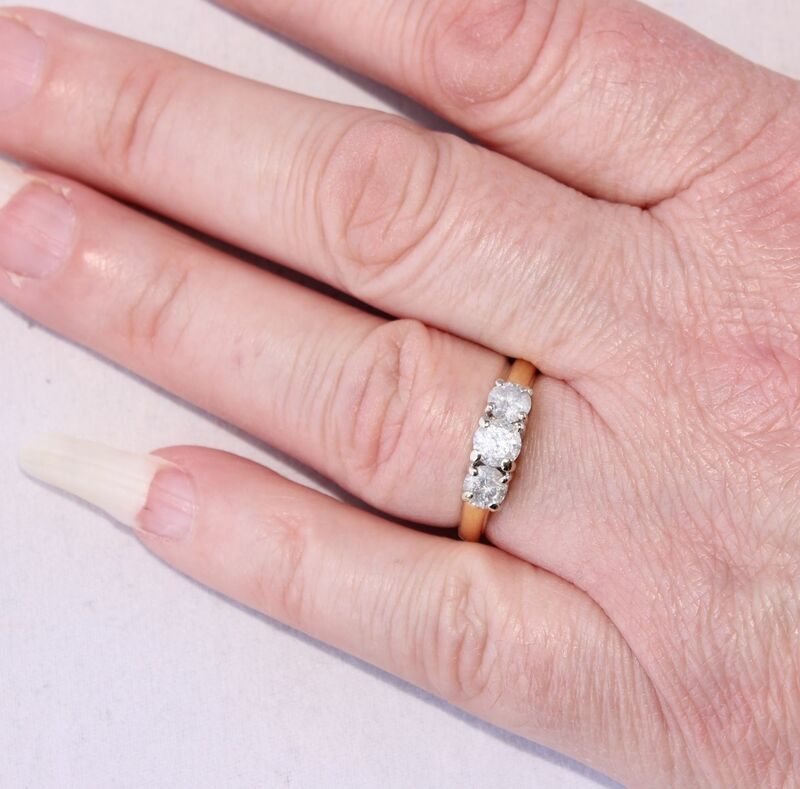 A lovely desirable and heavy three stone ring which has over 1ct of natural diamonds that would make a really great eternity ring, engagement ring or special gift. Materials: 18ct Gold Band. 3 Natural Diamonds that total est 1.08 ct.
Hallmarked: For London. 750 for 18 Carat Gold. Condition: Good used condition. Some light signs of use in keeping with age. 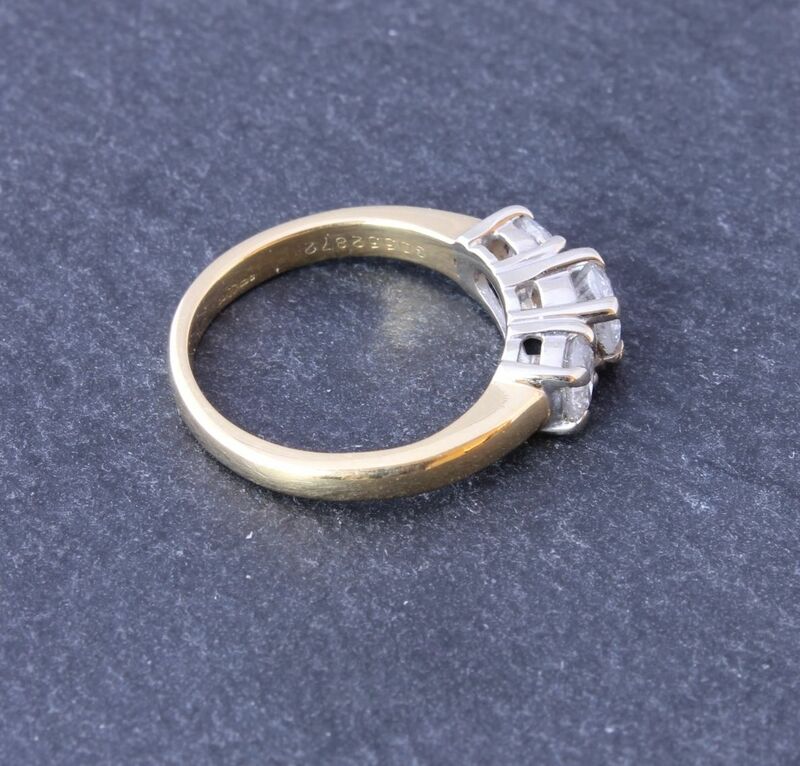 Some wear to a couple of prong mounts but the stones are secure. Professionally cleaned and ready to enjoy. Please see pictures. Comes in a ring box.